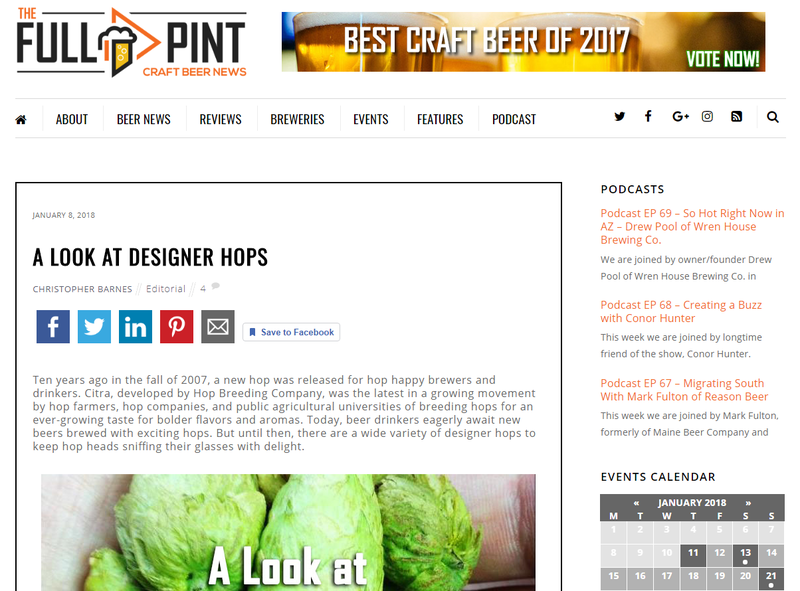 Editor’s Note: In my latest piece for The Full Pint, I look at the various popular designer hops, including their flavor profiles and popular beers to seek them out in. Ten years ago in the fall of 2007, a new hop was released for hop happy brewers and drinkers. Citra, developed by Hop Breeding Company, was the latest in a growing movement by hop farmers, hop companies, and public agricultural universities of breeding hops for an ever-growing taste for bolder flavors and aromas. Today, beer drinkers eagerly await new beers brewed with exciting hops. 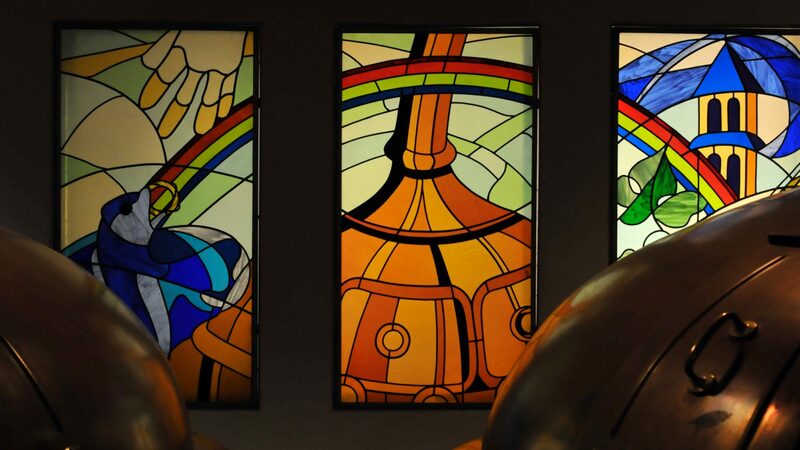 But until then, there are a wide variety of designer hops to keep hop heads sniffing their glasses with delight. Many of these hops are patented, trademarked, and proprietary. They were developed by private entities who license the hop to prospective growers or maintain the monopoly on their growth. This has led to a spike in prices for designer hops that is fueled both by scarcity and demand. They can be many times the price per pound of more available and traditional hops. There’s a movement at public institutions like Oregon State University to develop new varieties of hops that’ll be popular and publicly available allowing more farmers an opportunity to access new and more lucrative varieties. 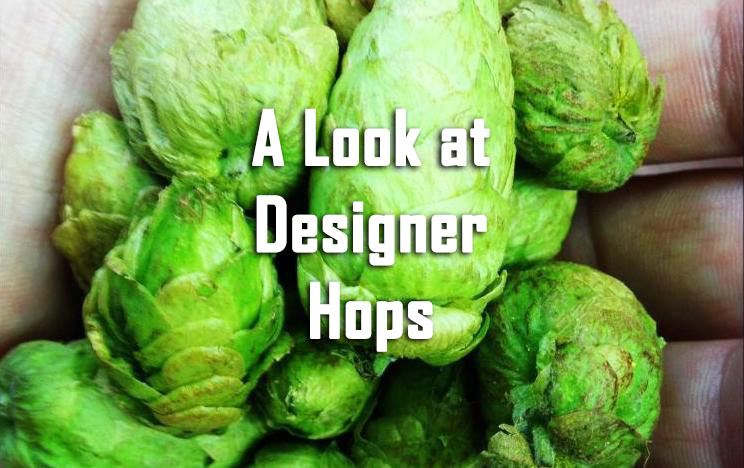 Designer hops, besides focusing on newer flavor profiles, also trend towards more intense flavors and aromas. In The Full Pint’s piece on Off-Flavors, we briefly touched on how human genetics affect how each individual has varying degrees of sensitivity to different chemical compounds (aromas) with some being very sensitive while others are scent blind to specific aromas. With designer hops there is a similar phenomenon.